1980s Detroit was caught in the grip of a deadly and far-reaching crack crisis. 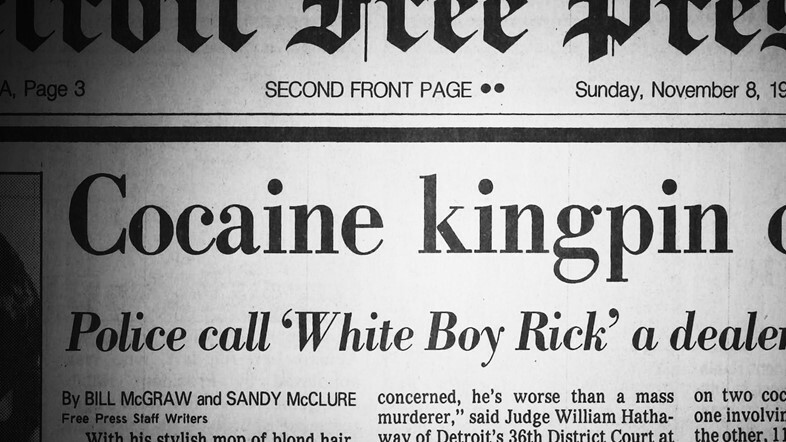 In the midst of an era defined by bloody turf wars, crippling social disarray and widespread police corruption, a bizarre urban legend began to emerge – that of a skinny, teenage kingpin better known as “White Boy Rick”. 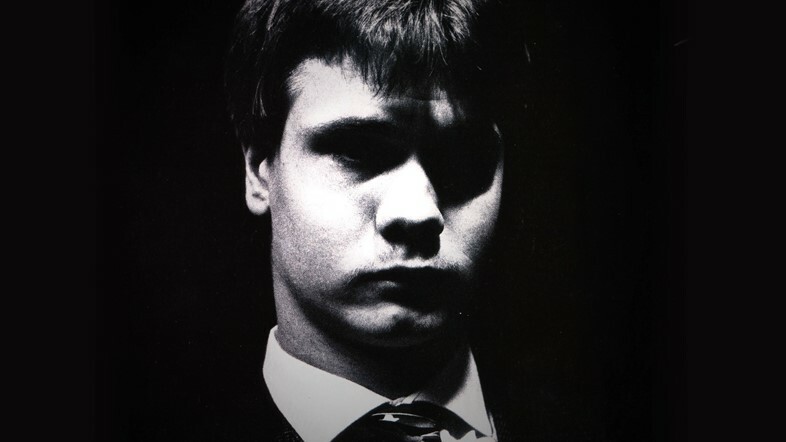 Appointed the mastermind behind one of the city’s largest drug organisations, Richard Wershe was arrested in 1988, aged just 17. 30 years later he’s still behind bars, imprisoned under Michigan’s 650 Lifer law remaining, until recently, the only one of 200 individuals still serving a life sentence without parole for a non-violent drug offence. Recruited aged just 14 for Detroit’s local drug task force by his father, Rick became the youngest informant in the FBI’s history. 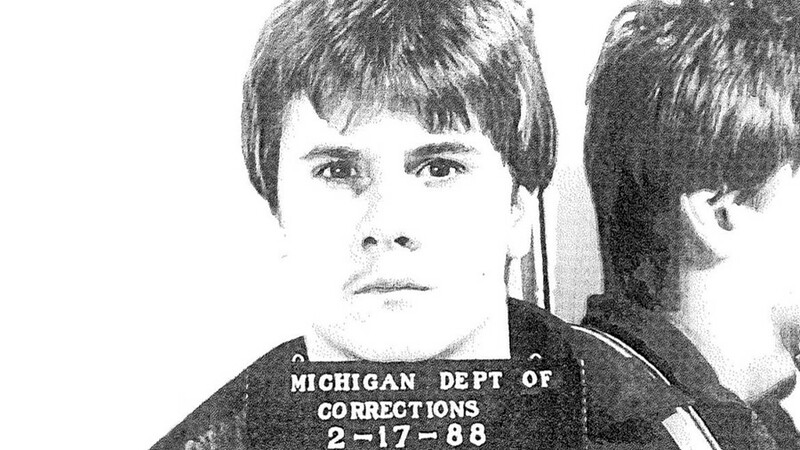 Despite being conspicuously fresh-faced – he was barely able to grow a moustache even three years later when he was arrested – Rick managed to ingratiate himself with Johnny Curry, the ‘cocaine king of the East Side’, feeding information about Detroit’s most dangerous drug cartels back to the authorities, resulting in numerous high-profile arrests. Captivated by Rick’s story, documentarian Shawn Rech and writer Seth Ferranti’s White Boy is the end result of a more than three year journey down Rick’s rabbit hole of a case. Putting the story together with meticulous detail, Rech and Ferranti imbue Rick’s decades old conviction with a unique sense of urgency as they trace a route through a maze of drug cartels, attempted assassinations, child informants and government cover ups. With the film’s recent release, we caught up with Rech to find out more about why this historic event speaks to a very contemporary moment in American society, how to reclaim justice for those who are wrongfully imprisoned, and what steps need to be taken to prevent similar mistakes from being repeated. What first drew you to Rick’s story? Shawn Rech: I was drawn to the injustice, and when I say injustice I specifically mean what I consider to be a gross over-sentencing of a juvenile, non-violent drug offender. I heard the story of “White Boy Rick” years ago – stories of some kid who was running these sophisticated drug gangs in Detroit. I heard about his lifestyle, about the girls, the cars, the clothes, the jewellery, the money, and the police corruption. It’s sort of an urban legend, but there really is a guy, and he really is sitting in prison doing life under a draconian law which has since been repealed. Who do you think is to blame for Rick’s situation? Shawn Rech: Well, I mean, first off, using a juvenile as an informant is illegal! The Detroit drug task force and certain FBI agents broke the law to do their job, so if it’s a chicken and egg question, I guess the first thing is the fact that they used him at all. Were it not for law enforcement looking for help, Rick may never have touched a drug in his life. We don’t know. It’s really the fact that they asked him to infiltrate this gang that started this whole thing. The FBI was after Coleman Young, the mayor of Detroit who was reported to have been steeped in corruption. While they were trying to get him, Rick did all these things to help them and then Washington comes back to the feds and says stop going after Young, we don’t like the pressure, we’re being called racists, we don’t care what he’s doing, don’t arrest him. So Rick exposed himself and he was left there lying out in the open. Young, who was left in power, could then see to it that Rick is sentenced to a horribly harsh sentence under an old law. The guy Rick was trying to get was basically calling the shots for what was going to happen to him. It was a terribly precarious situation. This documentary looks at a historical case but it has a very contemporary resonance with Trump’s administration reigniting the war on drugs, demanding mandatory minimums for low level drug offences. Shawn Rech: The secondary story of this movie is that politicians can be short-sighted, callous and greedy about getting re-elected. American voters always seem to respond well to “tough on crime,” when all tough on crime really means to people who don’t understand the intricacies of the penal system is “throw away the key”. You can’t just say we’re going to throw away the key with no consideration for whether a sentence is proportionate to the crime. What’s going to happen to this person when they’re in there? What’s going to happen to their family? What’s going to happen to their children? How many lives are going to be ruined? We’re talking about a drug offence, we’re not even talking about a violent offence. There are examples all over the United States of America where people get life for a couple of grams of weed because it happens to be their third offence. It’s a big problem, but everybody's like “Who cares? They’re inmates.” Until it happens to someone you love, you don’t care in many cases. It’s a huge problem. We’re not financing programmes in to educate and rehabilitate. If we’re going to be tough on crime we need to be tough on ignorance, let’s take a crack at creating opportunities for people. It’s indirect but that’s definitely part of this story. What do you think needs to happen, particularly at a government level to make those kinds of changes? How can we improve that situation? Shawn Rech: We shouldn’t have federal mandates, we shouldn’t have sentencing minimums, we shouldn’t have three-strike laws. We’re not letting judges do their jobs, a judge has experience, they can consider the case. No judge would have wanted Rick to get life. The judge that sentenced him 11 years later supported his parole – even the judge who sentenced him wanted this corrected! These edicts coming from men at golfing country clubs talking election strategy, that’s nuts. Their feet aren’t on the ground, they’re just being selfish, they’re just being callous. It’s costing us so much as a society. How do you get justice for someone like Rick, who by this point has spent more of his life in prison than out of it? Shawn Rech: In Rick’s situation, justice means first of all, freedom. Freedom from prison. Second, post-release control which isn’t too restrictive. I think they shouldn’t hinder what’s left of his life by throwing him back in if he tests positive for weed or something like that. Hopefully Rick’s post-release control is lenient and short. Third, I think he should seek civil remedies. I believe he has a strong civil case when he gets out, against certain government entities who totally dropped the ball. Rick is owed – he did everything they asked of him. At least some of the FBI agents involved sat for the film and told the truth. They’re remorseful for what happened and they’re trying to be decent and see this through. They flew in on their own dime to be in this movie. They really wanted to say “look, it happened.” Otherwise we’d be putting forth a theory and people would roll their eyes and say “yeah right, the FBI are involved.” Now we have FBI agents telling you. At least these guys know that what happened was wrong. I think they may end up star witnesses in a civil trial. Rick is due some compensation and I hope he gets it. Rick doesn’t seem resentful of his situation though? Shawn Rech: Yeah, he’s peaceful. That barnacle has been busted a long time ago. He just wants his freedom. When he gets that everything else’ll kick in. He’s got a fiancee now and a life after jail planned, he has jobs waiting. He’s a grandfather, he has about 30 years left of life and he wants to make the most of it. With so many people of colour, black men particularly, being unfairly targeted and sentenced by law enforcement, what prompted you to focus on this story of injustice against a white kid? Were you wary of that decision at all? Shawn Rech: The racial part of this story that I think is really interesting, and one which I think really upset the black community at the time, was the myth that these sophisticated black gangsters who were extremely organised needed some white kid to come in and shore everything up. It’s absurd. There was a big divide between the white suburbs and the black inner city at the time, I think these white folks in the suburbs were smirking saying “see, they needed one of us to get this all together, now he’s the king pin.” It was all a lie. What do you hope people will learn from this documentary? What action or impression do you want to leave us with? Shawn Rech: What I really want people to know is, let people do their jobs, stop issuing edicts. Stop passing poorly thought out sentencing mandates that end up putting people away for very mild things for half or their entire life. It’s happening every day. It’s costing us too much, in too many ways. That’s what I feel most passionate about. White Boy is available on iTunes now.